What could be better than having the opportunity to spend a few summer days in the Douro wine region in Portugal? Not for holiday though but to discuss the wine market with fellow people in the industry. Fattoria di Montemaggio, of course, immediately said yes when they via Li Valentine got the invitation from the Team Douro. 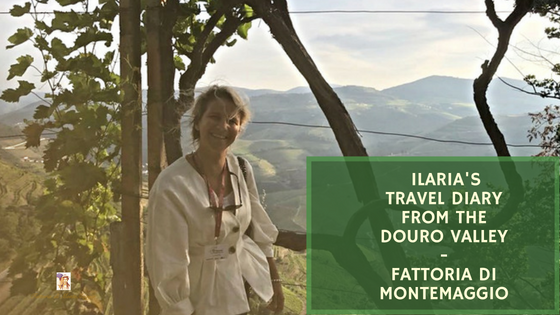 Ilaria went to represent Fattoria di Montemaggio and had a grand time doing so. The trip was not only for leisure, but it had a specific theme and goal, namely to have a group of wine producers from different countries to meet and to each give a talk about their marketing efforts and export strategies. It was a way to discuss and share experiences. 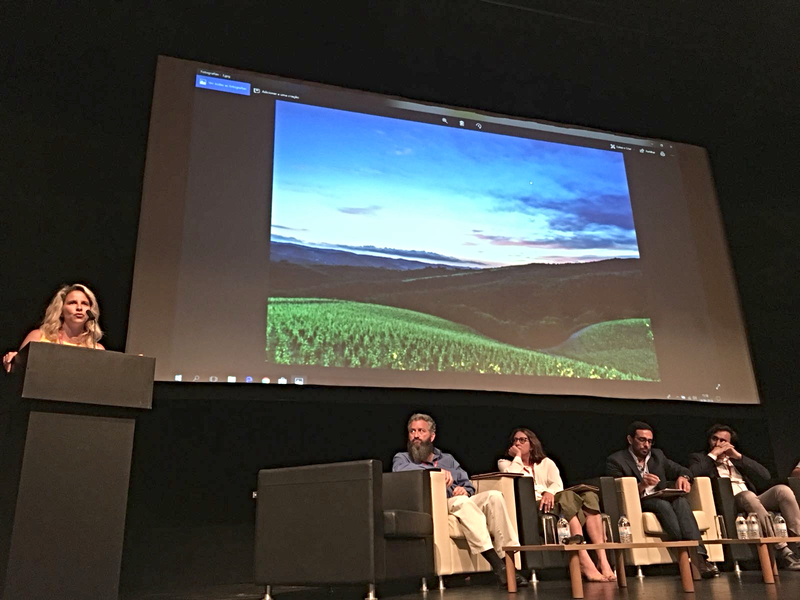 This tour and conference was part of a project organized by Team Douro and promoted and supported by the Commerce and Industry Association of Vila Real with the help of funding from both EU and the Portuguese Government. 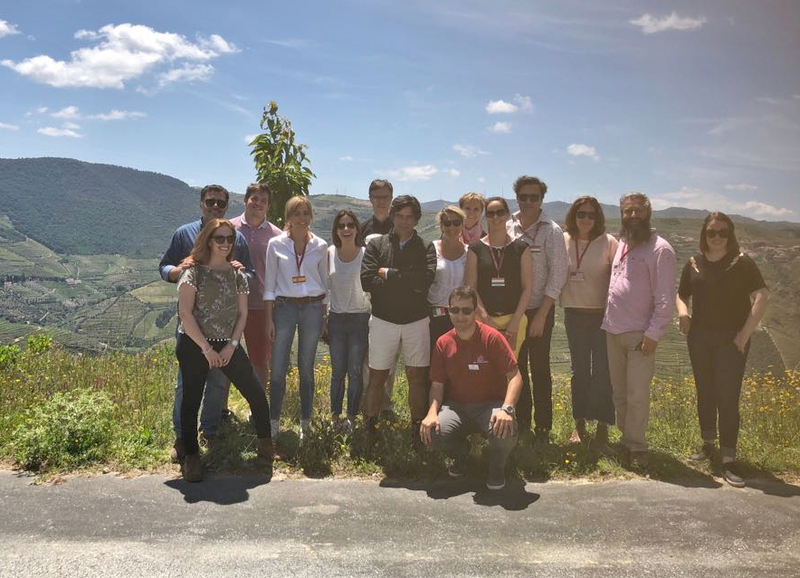 The program was stretched out over 4 days in mid-June where the invited group not only had a conference exchanging experiences with regards to export and marketing but also toured the Douro valley. 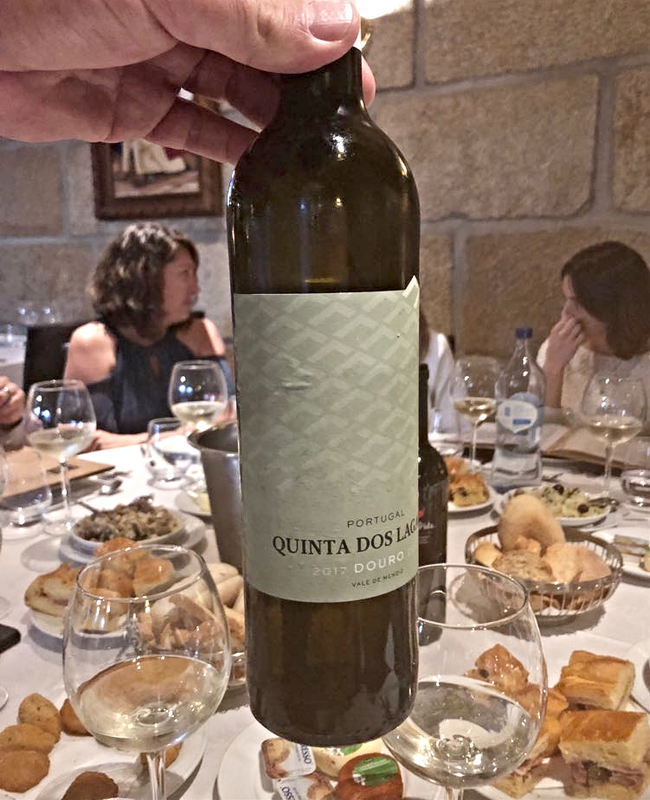 The invited group got to visit different producers, enjoy wine tastings, and overall experience the lovely atmosphere in the Douro valley. It was a wonderful mix of work and pleasure. 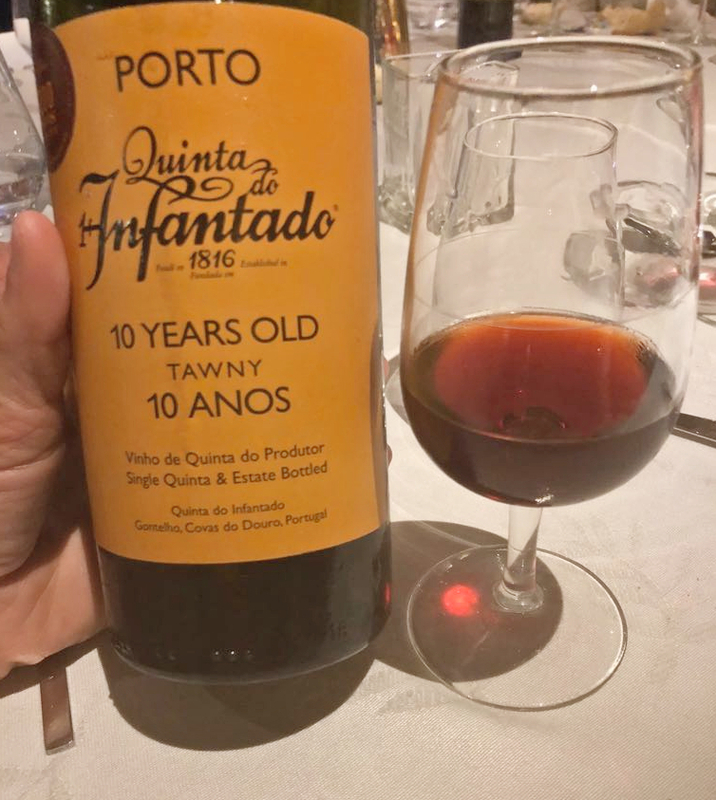 After a trip that turned out to feel very long, I finally arrived in Porto where Rita was waiting for me to then bring to Hotel Quinta do Paco in Vila Real. After a short rest, I met the other fellow tour friends and wine producer and we then all had a very nice dinner together. 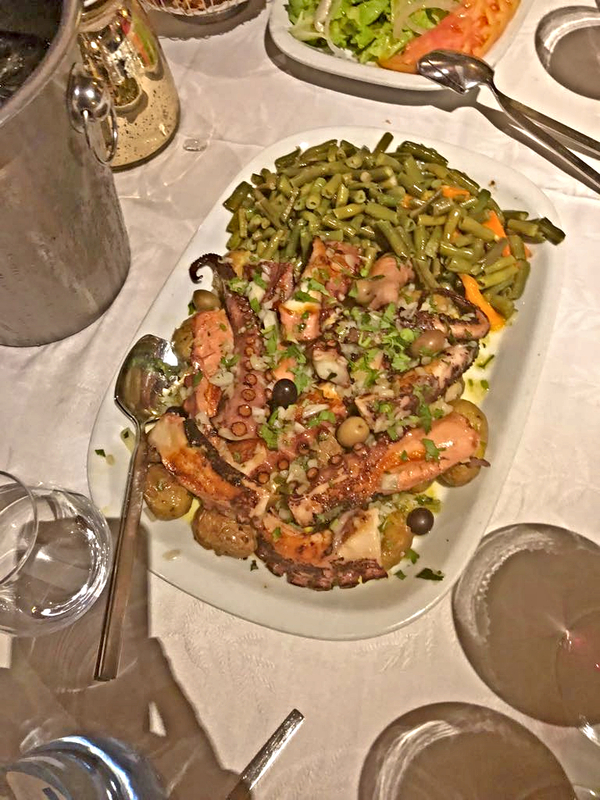 The food was just divine being a mix of fish and meat dishes being paired with local wine. Check out the pictures below. We started the day by getting on the bus and taken on a tour along the Douro river. The first visit was to the Quinta das Carvalhas vineyards that belongs to the wine company Real Companhia Vehla. We learned a lot of new things about the terroir, viticulture, and biodiversity in this part of Portugal. We went for a walk in the forest close by and tasted some wild plants growing there. An amazing experience. Next stop, after lunch, on our tour was at the cooperative winery Adega de Favaios where they produce the DOC Moscatel do Douro with Moscatel grapes. We got to taste some older vintages from 1989, 1999, and 2008, as well as a Favaíto. 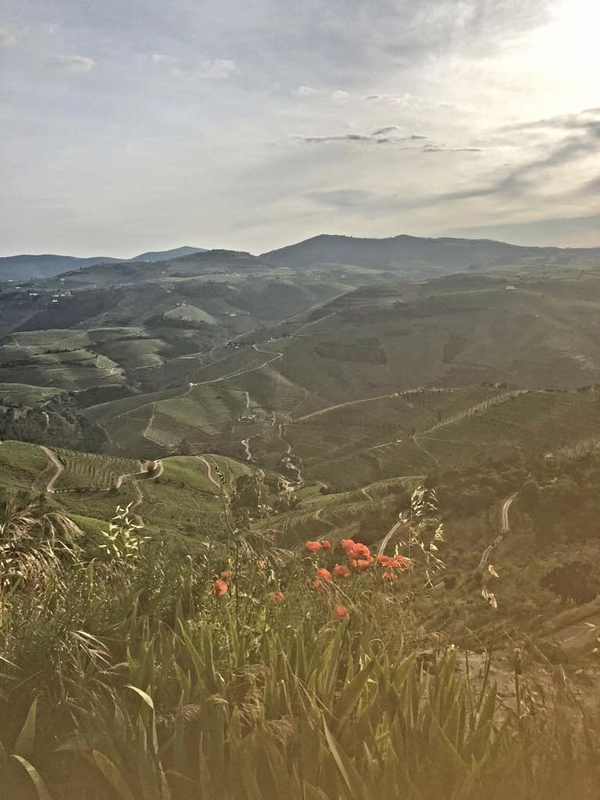 Before continuing our journey with a visit to Quinta dos Lagares, we did a stop at the top of the hills to enjoy the stunning view over the Douro. It almost felt as if you could touch the sky. At Quinta dos Lagares, we were welcomed by Isabel and Pedro who, among other things, showed us their charming old cellar. After the dinner at Cais de Villa where we tasted the wines of Quinta do Grifo, we were ready to go back to our rooms for some well-deserved sleep. After a visit to Adega Cooperativa de Vila Real in the morning learning more about their cooperative system, it was then the D day moment with the conference in the afternoon. I was to give a speech talking about our work and challenges when it comes to export and marketing at Fattoria di Montemaggio. I talked about how we attend wine fairs, wine festivals, international tasting events, and have incoming of importers to try and make our voice heard on the market. However, the best way for us to profile ourselves is through hospitality at our estate where we try to offer our guests and visitors something that goes beyond wine. We are focusing on trying to offer tours where our guests can feel that they are part of a wine experience. We want them to experience Montemaggio from different points of view, being interactive and learning. The other producers also talked about their wine areas, specific terroirs, and their experiences regarding the best ways to market themselves. The day ended with another fantastic dinner where we tasted each other’s wines. Each wine producer had, in fact, brought wines with them so we could share also this experience. The icing on the cake was an amazing performance by Alvaro after the dinner. It was a perfect finale to these three days together with a fabulous group of people in the Douro. Thank you Team Douro for this wonderful opportunity.